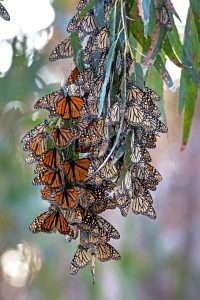 Santa Barbara’s Goleta neighborhood, 12 miles west of the offers stretches of hard-sand beach, scenic mesa trails, and a butterfly preserve where you can witness thousands of Monarchs wintering in the warm sun. Head out through the heart of the butterfly grove and when you reach the coast, you have the choice of dropping down to the beach (if you catch a low tide) or remaining high up on the bluffs for spectacular views. 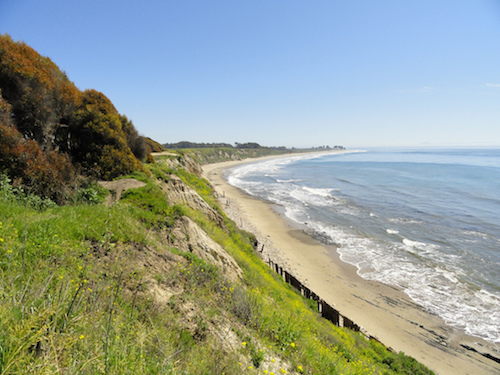 The many trails of Santa Barbara Shores County Park leave you plenty of options for shortening or extending this loop.